Whew, it's been a crazy month! Between my grandmother's hospital stay, Grand Assembly, and working on Creative Spark I just haven't had any time for much else. 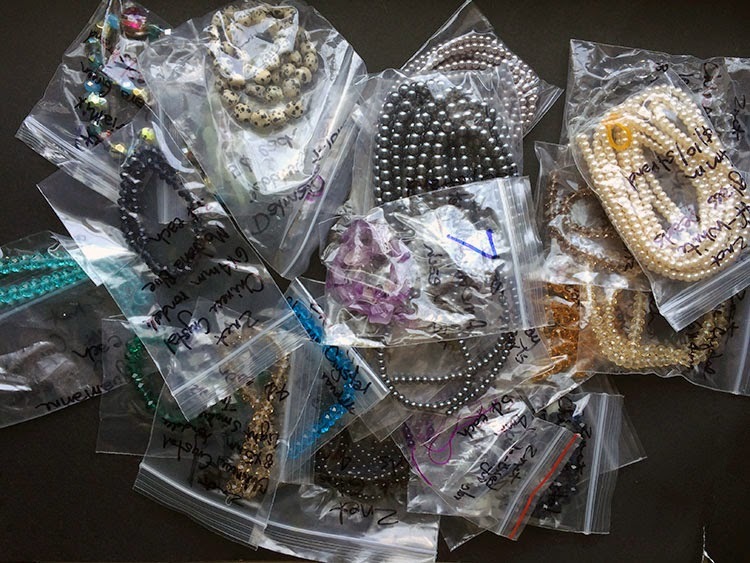 There's been no jewelry-making and only the basic house cleaning. In fact, all the time spent in the craft room has been on the computer. 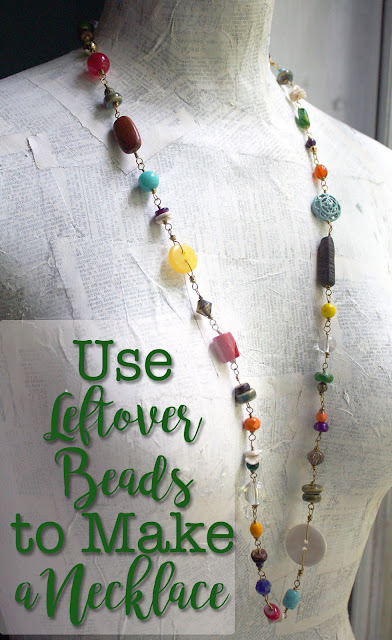 Today I got a chance to clear some of the clutter that's piled up around the house and in the craft room. In doing so, I discovered stock piles of supplies I've gotten and simply tossed in the craft room. There was a large bag of goodies I'd ordered with a gift certificate from ZnetShows. 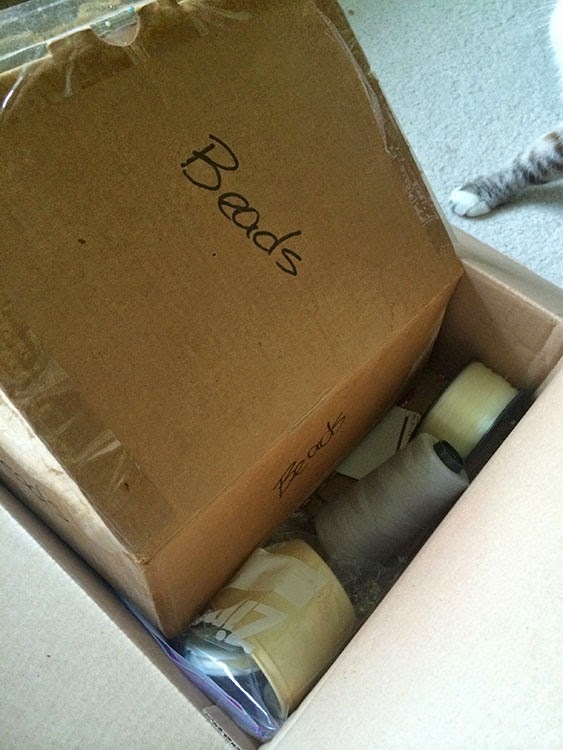 This innocent-looking box of 'beads' sent to me from my childhood best friend was hidden under my desk. Here's a look inside that box. . .at least one of the layer of stuff. I'll try to show off the wonders inside later. I also had a bag full of supplies we bought when we found a discount store that was selling off the items from an Ace Hardware that had closed. It was like a toy store! 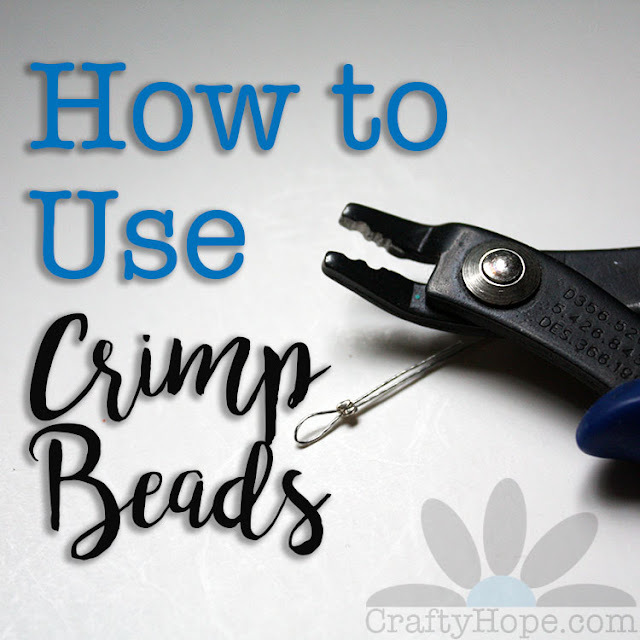 Now that I can walk through the craft room again, I can't wait to get my hands on some of these treasures and all the other amazing supplies I've had stashed away. First we're going to enjoy what's left of the weekend with a paddle in the river. But, I'm actually looking forward to Monday! You can walk through your craft room? What a novel idea...I have to hop over stuff that's waiting to be put away...very distressing. I plan to use you for inspiration! Oh, that is so cool! I love finding things I had forgotten about! I bet you are psyched about sitting down and going through all that stuff! 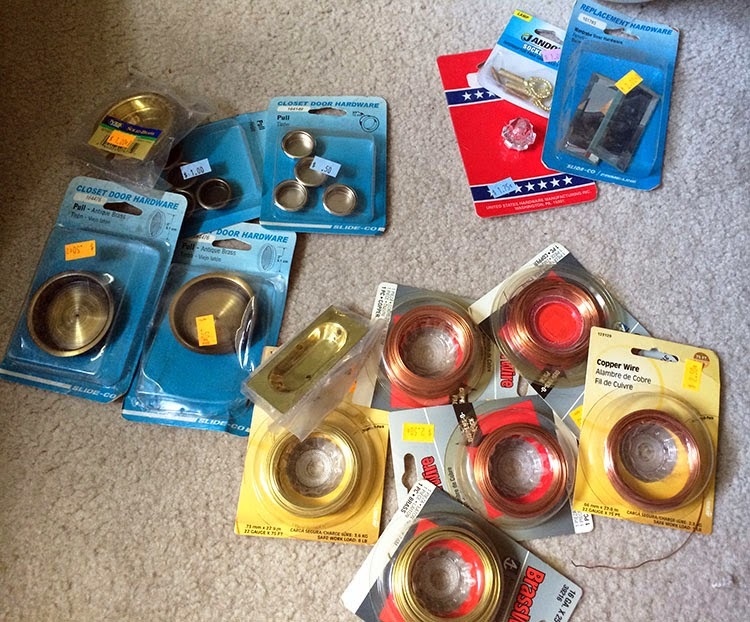 Lee - I'm so glad to hear I'm not the only one who stumbles upon forgotten supplies! I have sorted through some of it, but getting it put up and away will be another fun process for sure. Thanks for swinging by! Lots of goodies there. I really need more room as I find myself stepping over boxes and paper and other things. My work space also serve as a dining room and what not. It's very frustrating. 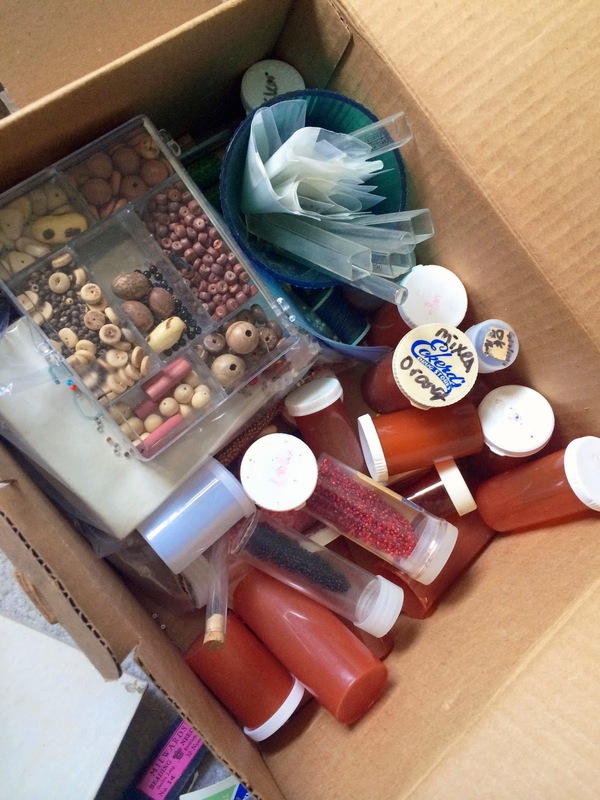 Oh, and I often come across of forgotten supplies and beads. Nothing like finding unexpected stash! Hurray!